013159866X -Compltely updated in a new edition, this unique reference is an in-depth examination of the central role of the physical therapist in rehabilitation following spinal cord injury. This book encompasses all of the elements involved in a successful rehabilitation program. 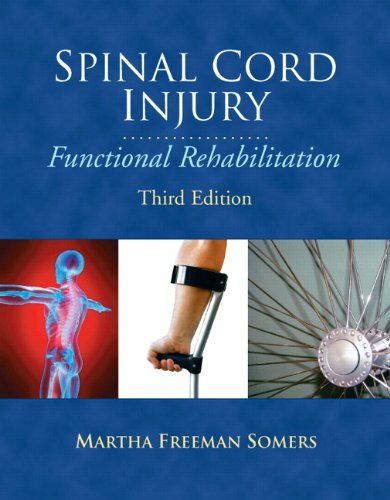 It includes a basic understanding of spinal cord injuries and issues relevant to disability, as well as knowledge of the physical skills involved in functional activities and the therapeutic strategies for acquiring these skills. It also presents an approach to the cord-injured person that promotes self-respect and encourages autonomy. Comprehensive information equips readers with a broad foundation of knowledge including topics relevant to spinal cord injury, its pathological repercussions, and medical and rehabilitative management in preparation for program planning, patient and family education, and effective participation as a member of a rehabilitation team.